What’s the difference between TAE 2.0 and the superseded TAE packages? Detailed information on the changes to content within training products can be found by using the ‘compare’ tool on the training.gov.au website. What do I have to do to have the new training products put on my RTO’s scope? “All registered training organisations, whether currently delivering the old Cert IV TAE qualification (TAE 40110) or not, will need to apply to ASQA should they wish to offer the updated qualification. What do the changes mean for existing trainers and assessors? The updated TAE Training Package was released to training.gov.au on 6 April 2016. At this time the VET Standards have not changed and there are no additional requirements for existing trainers and assessors. The Council of Australian Government’s (COAG) Industry and Skills Council intends to review how the new training package may apply to existing trainers and assessors. Pending this review, trainers and assessors who hold the existing Certificate IV in Training and Assessment may be required to update their qualification to ensure it is equivalent to the new qualification. We are unaware of a specific time frame in which this review may occur. When does the preceding TAE Training Package (Version 1.0) expire? Training products are usually removed from an RTO’s scope of registration 12 months after the release date of the superseding product. However, the expiry date for the superseded TAE products has been extended to 18 months and is therefore 5 October 2017. According to ASQA’s Standards, this means RTOs must not enrol, train or issue qualifications to students in any superseded TAE units of competency after this date. Following the expiry date, students enrolled in superseded TAE courses must be mapped over to the new TAE 2.0 training package. Where can I find information about unit equivalencies between the new TAE Training Package and its superseded qualifications? The Implementation Guide for TAE Training Package (Release 2.0) provides unit mapping information and details on equivalencies with superseded units. Mapping information can be found on the training.gov.au website. What is PwC’s Skills for Australia’s role in the TAE Training Package (Release 2.0)? PwC’s Skills for Australia became the Skills Service Organisation for the TAE Training Package in January 2016. Our role in Release 2.0 is to assist RTOs and other interested parties in understanding the new training products, to take on any feedback, and to identify areas for improvement. Importantly, PwC’s Skills for Australia does not have any regulatory, audit or enforcement functions; these are the responsibility of ASQA. Will PwC’s Skills for Australia create teaching resources for the new TAE Training Package? For the time being, we are focusing on working with our Industry Reference Committees to examine areas of improvement in our training products and to ensure they remain industry relevant. It is important to note that the changes to the TAE were developed in 2015 prior to Skills for Australia being established. Accordingly, we have not developed course materials for the TAE Training Package at this point. How do I get in touch to talk about these changes? It is our intention to communicate these changes to RTOs in an open manner. You can subscribe to our mailing list for updates on the TAE Training Package on our home page. We are also contactable at info@skillsforaustralia.com or 1800 714 819. Please feel free to contact us should you have any questions or comments regarding the new TAE Training Package or any of our other training products. Over the coming months we will be engaging with the sector on a range of issues related to skills to ensure there will be opportunities to provide feedback on the changes to the TAE. What is PwC’s Skills for Australia? PwC’s Skills for Australia is a Skills Service Organisation (SSO) established by the Commonwealth Government to support Industry Reference Committees (IRCs) in their work to develop modern and relevant training packages. When was Skills for Australia Established? In January 2016 the Federal Minister for Vocational Education and Training announced PwC’s Skills for Australia was one of five organisations selected as Skills Service Organisations to work with Industry Reference Committees to develop and review training packages. What does Skills for Australia do? We research what skills are needed in our industries and businesses, both now and in the future, to provide the right skills to match our job needs. Ultimately, this helps Australia stay at the forefront of global competitiveness and support continued economic prosperity. Identifies and interprets current and emerging trends in the global and domestic economy and how they impact on Australia’s skills needs. Reviews our training packages to better match what people learn with the skills needs of our industries and businesses, giving our population the best possible chance of developing work ready skills. Keeps employers informed about trends in their industry and listens to their feedback on qualifications and training packages. What training packages are allocated to Skills for Australia? What is a Skills Service Organisation (SSO)? Skills Service Organisations (SSOs) support Industry Reference Committees (IRCs) in their work to develop and review training packages. What is an Industry Reference Committee (IRC)? Industry Reference Committees drive the process of training package development. They are made up of people with experience, skills and knowledge of their particular industry sector. IRCs ensure training packages address the needs and concerns of employers, employees, those who provide training and those seeking its benefits. They have a direct relationship with the Australian Industry and Skills Committee (AISC) and are supported by Skills Service Organisations (SSOs). What is the Australian Industry and Skills Committee (AISC)? The AISC was established by the COAG Industry and Skills Council in May 2015 to give industry a formal, expanded role in policy direction and decision-making for the vocational education and training sector. Members include industry leaders nominated by Commonwealth and state and territory ministers responsible for skills and training; a peak body representative (rotating between the Australian Chamber of Commerce and Industry, the Business Council of Australia and the Australian Industry Group); and two ex-officio members (senior government officials). Working closely with Industry Reference Committees (IRCs), the AISC prioritises the development of training packages based on industry demand for skills across sectors and to achieve greater collaboration across stakeholders involved in training package development. What is an Industry Skills Council? Industry Skills Councils were part of a previous organisational structure, used to reform the VET system. These have now been replaced by the applicable IRC and SSO. Training packages are developed on behalf of our allocated Industry Reference Committees (IRCs) and are endorsed by the Australian Industry and Skills Committee (AISC) in accordance with the Standards for Training Packages which are regulated by Australian Skills Quality Authority (ASQA), Victorian Registration and Qualifications Authority (VRQA) and the Training Accreditation Council (TAC). An RTO’s scope is regulated by ASQA, VRQA and TAC, and RTOs must comply with the Standards in delivering training products. How can I provide feedback about Training Package products? Feedback from industry stakeholders helps the Industry Reference Committee (IRC) and relevant Skills Service Organisations (SSOs) to improve the industry Training Packages. It also informs industry advice and intelligence about issues related to the implementation of various training package products. Where appropriate, your feedback will be forwarded to the relevant IRC for consideration and additional feedback when required. Where do I find a Training Package? Training packages can be found on training.gov.au. You can use the search services (circled in red below) to locate any training package, qualification, unit of competency or accredited course. How can I find out about registered training organisation (RTO) delivery and teaching requirements? The COAG Industry and Skills Council has endorsed the Standards for VET Regulators 2015. Accountability and transparency of VET regulators. Engaging with industry, industry regulators and other VET regulators. Where can I find a list of RTOs that deliver the qualification I want to study and how much it costs? The Australian Government website My Skills provides information on VET qualifications. Search for a qualification or an occupation you are interested in on the website to find out who delivers the training, what it includes, how much it costs, and what kind of outcomes you can expect. The cost of training varies across Registered Training Organisations (RTOs). Before enrolling in a qualification you should contact your RTO directly to find out exactly how much training will cost and what will be included in that training. Where can I find mapping information for the current training package and previous versions? On the www.training.gov.au website, using the quick search function, look up the relevant qualification or Unit of Competency. Then click through to the Unit of Competency Details page. In the summary under the heading ‘mapping’, there will be a link and details to any superseding or superseded units (see picture below). Unit equivalency should also be noted in this table. You can also check the course mapping table in the relevant Companion Volume Appendix. What steps do I need to take to get a course accredited? The process for course accreditation is directed by the Standards for VET Accredited Courses. In order to have your course accredited you will need to provide evidence to Australian Skills Quality Authority (ASQA), Victorian Registration and Qualifications Authority (VRQA) or the Training Accreditation Council (TAC) of your consultation with us as the relevant Skills Service Organisation (SSO) for your training product. As an SSO, our role is to consult with you to determine whether: (1) there is a need for the proposed course to be nationally recognised, and (2) the course does not duplicate any existing training products under training packages. Examples of evidence are letters of endorsement from relevant industry representatives and potential employers of students completing your qualification. Letters should outline how the outcomes of your qualification meet an industry, enterprise, education, legislative or community need and why the qualification should be nationally recognised. We are happy to offer further guidance to assist you in meeting these requirements, get in touch with us at info@skillsforaustralia.com or 1800 714 819. Does PwC’s Skills for Australia provide learning resources for its training packages? We do not currently develop or provide learning resources for our training packages, but some other organisations, including RTOs, make learning resources available for use or purchase. What is Recognition of Prior Learning (RPL) and how can I have my past learning/experiences recognised? Recognition of Prior learning (RPL) is a process for giving candidates credit for skills, knowledge and experience gained through working and learning. It can be gained at any stage of your life, through formal and informal learning, in Australia or overseas, through work or other activities such as volunteering. RPL recognition will often be followed by gap training to achieve additional units of competency as required. As a Skills Service Organisation, Skills for Australia cannot award RPL. This is done through a Registered Training Organisation (RTO). 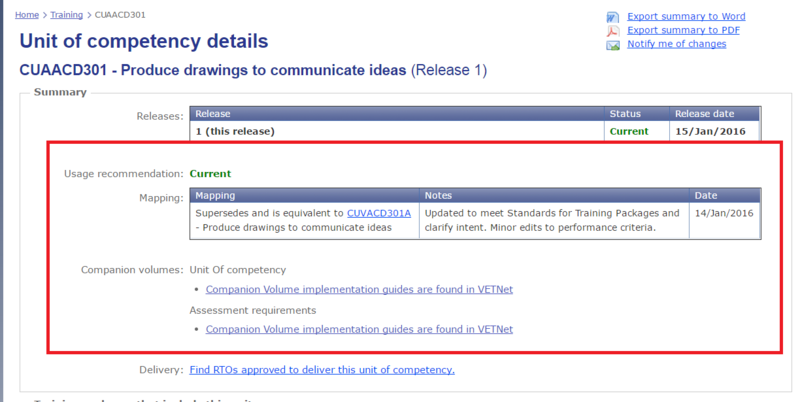 A list of RTOs can be found at www.training.gov.au. What is a Case for Change? Part of the IRCs’ skills forecasts, Cases for Change set out evidence for proposed changes to a training package, including the scope of the research, analysis and industry engagement undertaken to collate the evidence base. Prepared by an SSO under direction of an IRC, they are assessed by the AISC Secretariat then submitted to the AISC. What is a Case for Endorsement? The Case for Endorsement sets out the rationale for proposed changes to a training package, including evidence of consultation with the states and territories and evidence that all stakeholder views have been considered. It is prepared by an SSO under direction of an IRC and submitted to the AISC through the AISC Secretariat. CEO of PwC's Skills for Australia, Sara leads PwC Consulting's work on skills, vocational education and employment. With more than 25 years' experience in Vocational Education, training and skills, Sara’s recent work has focused on supporting government in delivering policy outcomes. She has been instrumental in designing and implementing innovative solutions to government priorities, including transforming skills systems, creating new vocational routes to professional careers and creating an environment for economic growth. Sara has worked with both federal and state education departments, and with a range of TAFEs and private RTOs in Australia. Based in Sydney, Sara has been with PwC Australia since 2014, after having spent 6 years with PwC in the UK. Prior to working as a professional consulting leader, she spent 10 years in delivery and senior management roles in the Further Education and Skills sector. In 2012 she was appointed by The Department for Business, Innovation and Skills (BIS) in the UK as an Employer Ambassador for Higher Apprenticeships and was also a member of the HE Commission and the Parliamentary Group on Skills. 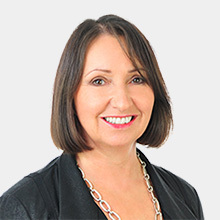 Sara chaired the Professional and Business Services Council's Skills Taskforce, working with BIS and other employers on delivering the Industrial Strategy, and was a member of the London First Skills and Employment Board. In 2013, Sara and her team won the UK Management Consultancies Association People Award for their work on Apprenticeships. 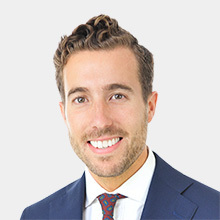 I am Head of Engagement at PwC's Skills for Australia, responsible for the team's interaction with its stakeholders who are critical to informing and shaping training products. 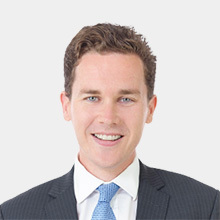 I specialise in education policy reform and stakeholder management, having worked on a number of high profile, large-scale initiatives for government and industry, both in Australia and internationally. In Australia, I have worked with the Victorian VET Funding Review to develop recommendations for delivering a stable vocational education funding system and achieving better outcomes for students and employers. I have also worked with a wide range of training providers to better track and manage their performance. In the UK, I developed and implemented a large-scale and innovative response to the issues of skills gaps in the professional sector and particularly small businesses, engaging with hundreds of training providers, employers and students. Prior to working at PwC, I was a Primary School teacher at two schools in the UK and a school Governor at two schools in London. Continuing my passion for education, I currently volunteer as a leadership coach for school teachers. I am the Head of Training Product Development for PwC's Skills for Australia. My experience includes assisting Registered Training Organisations with quality, student experience and compliance matters. I have also worked in the Queensland Government as Senior Policy Adviser to the Minister for Education, Training and Employment. In my Government work, I was responsible for the whole of sector review of VET in Queensland (Skills and Training Taskforce) and the implementation of the Taskforce's recommendations (including the transition to an industry led advisory commission and the transition of TAFE to a statutory body). My international experience includes projects in Saudi Arabia and the United Arab Emirates related to economic analysis, public policy and improving the efficiency and effectiveness of public sector entities.